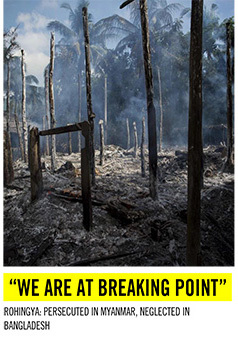 Home › Media › International › Rohingya crisis: August is back again! Rohingya crisis: August is back again! Tomorrow we are entering the month of August – a month which has several significances for us as a nation. This month contains the ‘National Mourning Day’. On 15th August, 1975, Father of the Nation Bangabandhu Sheikh Mujibur Rahman along with most of his family members was killed brutally by the anti-liberation war force. But, over such an important incidence of our national history, this month found a prolific significance last year. During August 2017, thousands of Rohingyas started to flee into Bangladesh from neighboring Myanmar as they were tortured and oppressed severely by the Myanmar Army. On the face of one of the most brutal mass attacks of the history, Bangladesh opened its doors for Rohingyas immediately and set a humanitarian example. But till then the lives of these thousands of refugees remain in complete uncertainty as no solutions came out for them and August is back again. From August 15, 2017 around half a million Rohingyas came to Bangladesh crossing the border to save their lives from the atrocities of the Myanmar military and their associate fundamentalist Buddhists. Myanmar army killed thousands of men, raped Rohingya women, beheaded many children and burned thousands of Rohingya homes with the help of their associates. Myanmar claims that, these Rohingyas mostly Muslim in religion are not their citizens and they actually belongs to Bangladesh. These Rohingyas — the Muslim minority and inhabitants of Myanmar’s western Rakhine state — were wiped off their citizenship rights long ago. Myanmar army’s crack down on the Rohingyas brought serious criticism throughout the world and the UN described it as ethnic cleansing. While some were drowning in the sea, many were floating on boats homelessly, Bangladeshi Prime Minister Sheikh Hasina took a bold step to open the Bangladesh border and welcome the Rohingyas. Her generosity was well applauded by the world leaders and humanitarian bodies as Bangladesh, despite being a poor economy, shown such kindness and PM Hasina received the title of ‘Mother of Humanity’ in the process from the people. Bangladesh government successfully accommodated this huge number of people in temporary shelters, arranged food and medical facilities for them and tried to provide education for the Rohingya children. Initially Bangladesh was able to create huge awareness around the world for the Rohingya crisis as unofficially the number increased to over one million and gained strong support from the global leaders. Many of them visited Rohingya camps, but plight of these people still continues while the issue of their repatriation still remains under questions. From the very beginning of the Rohingya crisis, Myanmar denied the fact that there is any operation ongoing against Rohingyas. Rather, they claimed that these people were fleeing on their own will to their actual country Bangladesh. Under Noble Peace Prize winner Aung San Suu Kyi’s government this genocide had occurred and she remained silent; even denied and justified this barbaric act in spite of many evidence of the ongoing oppression over the Rohingyas presented by the world media. She even became an icon of hatred due to her approval of the worst genocides of the world. Many even demanded to take away her Noble Peace Prize. From the very beginning of this third, but largest wave of Rohingya influx in Bangladesh, the repatriation of them has been the greatest concern. On September, 2017 PM Hasina clearly declared in the UN general assembly that the Rohingyas need to go back to their own country and urged for the support of the global leaders to arrange their repatriation. And subsequent pressures were created on Suu Kyi’s government. A recommendation was provided by the ‘Annan Commission’ which provided detail and acceptable process of Rohingya repatriation which will allow these people to return to their lands and also to avail full citizenship benefits. But Myanmar government denied the Annan Commission’s recommendation and emphasized on adoption of 1993 Rohingya Repatriations Agreement which was identified as a lame agreement as that allows the Myanmar government to have the full control on the process of repatriation. 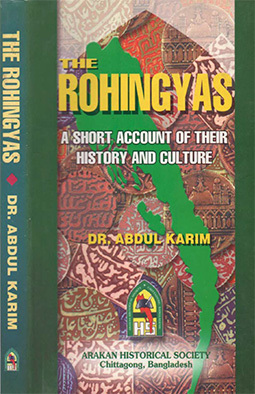 Hence, the fate of this stateless community remained tied to the political arrangements between Myanmar and Bangladesh. Turkish First Lady Emine Erdogan and Foreign Minister Mevlut Cavusoglu on September 7, 2017 visited a registered Rohingya refugee camp in Ukhia upazila to learn about the extent of persecution inflicted on the Rohingyas. Few days later, Pope Francis, the current Pope of the Catholic Church came on a visit in Bangladesh on 30 November last year, on a 3-day visit and visited the Rohingya camps. He was deeply moved by the sufferings of the thousands of Rohingyas and urged the world leaders to push for their repatriation, hence to end their sufferings. A 13-member delegation of the Organization of Islamic Cooperation (OIC) visited the Rohingya camps in Cox’s Bazar on 4 January this year which made everyone hopeful about mounting pressure on Myanmar for a safe and dignified repatriation of its forcibly displaced minority people. The delegation comprised of OIC’s major statutory organ Independent Permanent Human Rights Commission (IPHRC) executives and was led by its chairman Rashid Al Balushi. Indonesian president Joko Widodo visited Bangladesh on January 27-28, 2018 while Swiss president Alain Berset on February 4-7, 2018. Both visited the Rohingya camps in Cox’s Bazar and confirmed their standing alongside Bangladesh in soliciting the Rohingya repatriation issue. Five Members of the European Parliament (MEPs) comprising 14 MEPs also visited the Rohingya camps on February 12, 2018 as their visit had a special focus on the Rohingya crisis. UN Security Council meet on February 14 to discuss Rohingya issue and situation in Rakhine Sate, according to a provisional programme of the Security Council and by the time, British foreign secretary Boris Johnson met Myanmar leader Aung San Suu Kyi to talk about Rohingyas and how they can be repatriated. Later on February 16, Bangladesh handed over a list of 8,000 Rohingyas to Myanmar to kick start their repatriation. 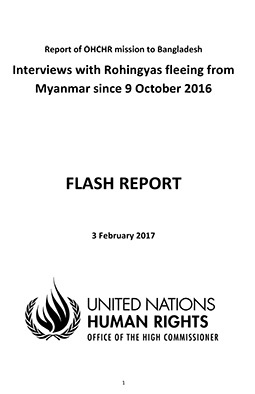 On 22 February, over 100 British parliamentarians said that it was time for the UK to state that Myanmar’s military should be referred to International Criminal Court (ICC) for their appalling ‘security operations’ against the Rohingya, described as ethnic cleansing and possibly genocide by OHCHR. Nobel Laureates Shirin Ebadi, Tawakkol Karman and Mairead Maguire visited Thankhali Rohingya camp and met women who were brutally tortured and thrown away from their own country. They also observed the role of local and international organizations providing support to the Rohingya women in the camps and elsewhere. From April 28, The UN Security Council, led by Kuwait, Britain and Peru will paid a visit to Bangladesh and Myanmar over the solutions of Rohingya issues. They had meeting with both Suu Kyi and Sheikh Hasina. A 53-member high-profile delegation of representatives of the Organization of Islamic Cooperation (OIC) again visited the Rohingya camps in Cox’s Bazar on May 04. UN Secretary-General Antonio Guterres and World Bank Group president Jim Yong Kim has visited a refugee camp on July 2, 2018 in Bangladesh to hear firsthand about the plight of Rohingya people who fled Myanmar. Director General of International Organization for Migration (IOM) William Lacy Swing also visited Rohingya camp in Cox’s Bazar on July 15. In latest events, the United Nations Security Council (UNSC) sat on July 23 to discuss Myanmar issues where Rohingya issues came up prominently. But nothing much changed for the Rohingyas. Other than the discussed visits of important dignitaries, celebrities like Priyanka Chopra and many other important personalities of global politics visited the Rohingya camps in Bangladesh. Bangladesh received huge support in from of aids for the Rohingyas from different countries and institutions of the world. But it was said that the global donors are losing interest to support the Rohingyas as no solutions of this problem is yet in sight. Meanwhile, Myanmar decided to take back a very little number of Rohingyas which they claimed to have verified as their citizens but that also did not happen and it will bring no good for the Rohingyas as well as for Bangladesh. Despite huge concern shown by the global leaders and institutions over the Rohingya issues and related humanitarian concerns, almost no pressure was created on the Myanmar government. Bangladesh has failed to gain any advantage diplomatically as our foreign ministry failed in creating any force on the Myanmar government. But we cannot let Myanmar escape after committing such genocide. It is regretful that, world leaders especially the UN and the UNHCR could not convince Myanmar to stop the genocide as well as to repatriate these huge number of Rohingya refugees. Only showing concern is not enough to change or improve the condition of these people. Astonishingly, the world seems to forget about these ill-fated Rohingyas as time passes and that will be the greatest shame for institution like UN. Rohingya crisis is not only an issue for Bangladesh, but also for the UN. We hope the UN as well as our government will act sharp to create awareness again in the global forums and pressurize the Myanmar government to solicit this Rohingya crisis as we cannot forget our responsibilities towards this huge number of refugees. We must act fast and remember that a year is gone and August has come again. Tagged with: Rohingya crisis: August is back again!